See Saint Augustine in its best light on the Nights of Lights cruise. 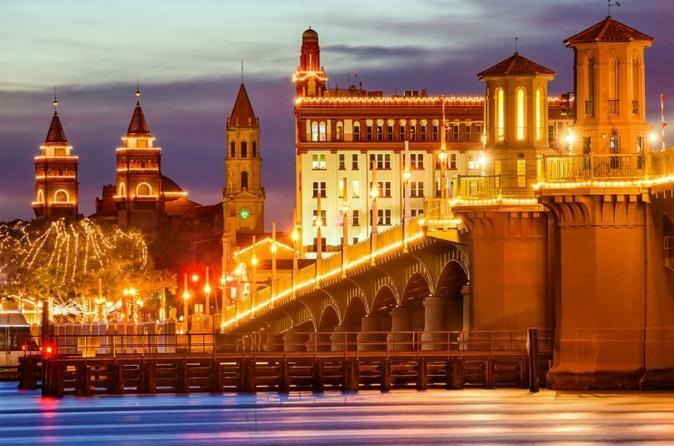 Sail through the Intracoastal Waterway and admire the Saint Augustine skyline decked out in white lights—a tradition dating back more than 450 years to its early Spanish colonial roots. Bring your own cooler with snacks and beverages to enjoy onboard the 16-passenger catamaran while you take in the views.